Well, the first impressions I've read on FECC were mostly positive but a couple are also critical because of lack of unreleased footage. Also it seems that the footage from the '68 Comeback Special was not as good as on earlier releases (but that could be the maker's decision). Sounds good! I have a chance to watch it later today and I'm really looking forward to it although some people said that there's the same old "blame the Colonel for everything"-stuff. Will have to see. I am always looking for Sam Phillips interviews (and basically everything Sun Records related) so I know some of the things used in The Searcher. That one in the clip posted above for example comes from another documentary and the "blew me away"-part actually was when he was talking about "Blue moon of Kentucky" IIRC. But since Sam said similar things about "That's alright" and Elvis knowledge of the Blues, it certainly is ok to use the way they placed it. Ian, since you're a historian, do you own the "A boy from Tupelo" set? The book has lots of detailed information about the Sun years. As you know, Record Store Day is not far away. There will be a fabulous Presley release. If it is what it promises, this is a good way to start your Elvis collection. Rocker, I can't wait for this album. I just wonder if there's a mistake in the 'article.' How can they fit both shows on 2 LP's? I had a chance to watch the first part (right now watching the second one). I thought it was very good. Some small glitches, but not too dramatic. I'm finished. Great movie! I really like it very much. My first fears were that we hear the same sh!t about Colonel parker and how he was responsible for everything bad that ever happened to Elvis and blablabla. But this movie actually shows his strengths and weaknesses imo in a way that makes you want to know more about him. But obviously this movie is about Elvis and it portraits him finally in a serious way as a musician and someone who is not only a product but an actual human being. It reaches this goal by being not just another retelling of the old stories. Man, I am happy that this came out so good. If anyone has the chance to watch it, do it! Yeah, he mentioned a couple of weeks/months ago that he wasn't part. But the movie works very well without him. Just as Guralnick's essential books, this movie is a must watch imo. I guess the "Peace in the valley" studio recording just sounds much better as the TV recording. The deep voice Elvis sings in creates a very moody tone. But I don't know. I didn't miss the performances though, because it totally works. Here's the unboxing of "The King in the ring". It looks quite beautiful. I don't know though if I really need this, having the shows already on other CDs. Author George Smith has posted a review of The Searcher on the FECC messageboard. He used some Beach Boys references. There are seven basic types of story: The Quest; Rags to Riches; Voyage and Return; Comedy; Rebirth; Tragedy; Overcoming the Monster. The saga of Elvis Presley contains the first six in that order, but sadly the seventh act was denied him and us. Director Thom Zimny has attempted to do justice to the Presley story over the course of a newly-released two-part documentary entitled Elvis Presley: The Searcher. Taking the viewer through the singer’s forty-two years in the space of three and a half hours, this is by necessity a picture painted in broad strokes but one which manages to tell the tale with reasonable accuracy and ample spirit. It is structured similarly to Guralnick’s two-part written biography, using Presley’s army stint as a dividing line between his unprecedented rise and slow fall. Documentary writer Alan Light undoubtedly knows the intricacies but, when faced with time restrictions, was required to cut the finer points which must have been as infuriating for him as it is for the deep fans. The genius of the documentary though, is in its decision to present Elvis Presley to all viewers in a new and unexpected fashion. For the devotees this is realised through the constant use of new film (professional and amateur) and studio outtakes: it keeps the faithful on their toes and creates the impression of seeing and hearing Elvis anew. This is why Zimny insisted on using the alternative Aloha, the handheld “Trilogy” and “Never Been to Spain”, the “Burning Love” rehearsal, the “If I Can Dream” outtake, the off-air segments from ’68, the non-masters of “Lonely Man”, “Hurt”, “Suspicious Minds”, “Loving You”, and even (I think) outtakes from “The Truth About Me”. It is a deliberate and clever approach which was much appreciated by this writer. For the causal viewer the trip is just as surprising: it’s no accident that the first picture we have of Elvis after the titles is of the man himself in 1969 at his absolute physical peak dressed only in shorts diving into a swimming pool — This is Elvis? Really? Wow! Where’s the fat guy in a jumpsuit? There’s no “Jailhouse Rock”, no “The Wonder of You”, no “Crying In The Chapel”, no “Blue Suede Shoes”, and no a lot of other stuff too. This is partly to do with time restraints but it’s also a conscious decision to show the less-known and less-appreciated side of the story. The film favours home movies and behind-the-scenes clips over super-glossy Hollywood celluloid in an attempt to remove the albatross of iconography from Presley’s story. The flickerflicker of an old-time projector is occasionally heard as it shows grainy film of Elvis relaxing or rehearsing in happier times, segueing into the sound of a playing card catching on bicycle spokes as a pre-teen dungareed Elvis rides around Tupelo and Memphis in a recreated scene, showing how even at a young age Elvis was searching — looking and listening for emotional connection through faith and through music, sometimes both at the same time. The bicycle rider acts as a motif for The Searcher and appears several times as a linking device. Zimny also uses a number of other creative devices to tell the story. There are no talking heads, instead he relies upon dozens of audio interviews with relevant parties (family, friends, musicians, observers, writers, disciples). Most of these are well used, but the contributions of Red West and Tom Petty are outstanding and reek of integrity and wisdom; West as someone who knew Elvis inside out and Petty as a musician chased by the same demons as his hero. There is considerable and understandable emphasis given to Presley’s early career, and Zimny takes great pains to demonstrate Elvis' absolute devotion to gospel and blues and to destroy any suggestion of cultural appropriation. It also clarifies just what is was that the young Elvis did — breaking down racial barriers through the use of music and performance, delivered with grace, excitement and sensuality, ushering in the modern cultural era. Actually, the production as a whole is beautifully and sensibly balanced allowing thirty minutes of air time for each of the six major musical phases of his life: Growing up in Tupelo and Memphis; Sun Records; The Rock ‘n’ Roll Years; The Early to mid-Sixties; The Comeback; The 1970s. The anchor point for the production is the 1968 TV Special and the narrative jumps forwards and backwards to that show to illustrate or reinforce various points. It works for the most part and even when it doesn’t, the joy of seeing Elvis at the apex of his powers justifies its use. There are echoes of Presley’s long-rumoured autobiography, Through My Eyes, when the camera slowly zooms in on photographic portraits, and there are several poignant moments as we are allowed to wander Graceland like Marc Cohn’s ghost of Elvis, looking at the knick-knacks, furniture and ephemera — we can look but we can’t touch, and it’s surprisingly moving. Actually, there were a number of points that stirred me, among them being the time the young Elvis talked about the material gifts he’d been able to buy his parents (in that moment one can hear 100% the reason he was so driven during the mid-50s); Petty’s heart-breaking summation of Elvis’ decline (“I think he just gave up”); and the sight of the Searcher’s rusty old bicycle, dismantled and chained up at the back of a dark garage — unused and unwanted, signifying the stagnation of Presley’s creative impulse. There’ll be talk of it not being as detailed as The Beatles' Anthology, but Beatles fans might similarly complain that they don’t have as succinct and viewable a film as The Searcher. A casual fan might give three and a half hours, but not ten. Elvis Presley: The Searcher is an enjoyable, honest, graceful and involving piece of work. Is it perfect? No. But find me a product that is. It is aimed at the heart as much as the head and I can live with that, because that was where Presley did his best work. For right or for wrong, the story will not be better told in my lifetime. 0:10:12 — Elvis Is Back! 1:30:00 — How should we close the show? We all know Elvis Presley as the "King of Rock 'n' Roll," but it was his '68 comeback special on NBC that truly secured his reign. In that one thrilling special, donning iconic black leather and performing some of his most unforgettable hits, Elvis reclaimed his glory and put himself back at the top of the charts. This season, to celebrate the 50th anniversary of that epic evening, an all-star group of music's superstars will pay tribute in Nashville, Tennessee, recreating the spectacle - even the staging - of that legendary night of song. In addition to the musical performances, we'll see rare Elvis footage, outtakes and interviews from those involved in the '68 comeback special, including Director Steve Binder. Whether you're a lifelong fan or just getting to know Elvis, this is an event not to be missed. At first I wasn't a fan about this idea, but I've warmed up to it. It's about time Elvis got one, on one condition, they use this as a lead-in to the actual Comeback Special itself. At first I wasn't a fan about this idea, but I've warmed up to it. And probably LeAnn Rimes will also even be part of it. I also expect Lisa Marie singing a gospel-song from the - as I interprete the rumours - next RPO-like album that focuses on the gospel recordings and will have newly recorded background vocals by some of the gospel quartets that worked with Elvis and - I'm quite sure - also will have a "duet" of Lisa and Elvis. That's wonderful news. Looking forward to it! Elvis Presley's legendary "'68 Comeback Special," directed and produced by Steve Binder, will hit the big screen this summer in celebration of its 50th anniversary. The two-day cinema event will take place across the globe on August 16, with an encore screening on August 20. Each screening will include the legendary television special, plus an exclusive look at the making of the special, featuring a walkthrough of the NBC soundstage with insights from Binder and others influenced by Presley, his music, and this iconic event. This brand new content is produced by Spencer Proffer, CEO of Meteor 17, and ABG's Marc Rosen, SVP of Entertainment. In celebration of the 50th anniversary of this legendary special, a new book by Steve Binder titled COMEBACK: The Making of the 1968 Elvis Specialdelves into the dynamic (and often intimate) performances by The King of Rock & Roll during the landmark "Comeback" NBC broadcast. The book features a dedication by Priscilla Presley and stunning catalog of iconic Elvis Presley imagery. 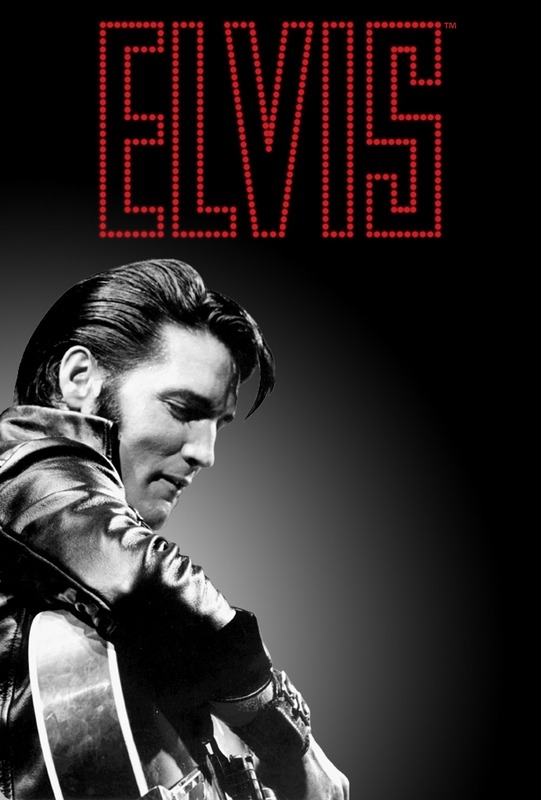 Elvis Comeback Special director and producer, Steve Binder has partnered with Spencer and Meteor 17 to publish the definitive table top book on Binder’s making of the Special and all activities that led up to, were part of and happened, as a result of the landmark television event. M17 long time art director, Hugh Syme (http://www.meteor17.com/hugh-syme/), designed the stunning look and feel of the 279 page collector’s item book which includes commentaries, interviews and never before seen memorabilia presented to Binder by both Elvis and Colonel Tom Parker. Grammy winning book manufacturing organization, Integrated Communications (http://icla.com), widely known for producing high quality limited edition collections for major music artists and companies (Paul McCartney, Bob Dylan, John Lennon, Universal Music Enterprises, Concord Music Group, and Warner Music Group) are handling the printing of the book, worldwide. BOB DYLAN BOOK BOX: https://www.youtube.com/watch?v=6EeMGkWAddsElvis Comeback Special director and producer, Steve Binder has partnered with Spencer and Meteor 17 to publish the definitive table top book on Binder’s making of the Special and all activities that led up to, were part of and happened, as a result of the landmark television event. To further propel the book, there will be a highly visible launch at Graceland in Memphis, August 2018 during Elvis week there. Binder will conduct a town hall forum and panel, followed by similar events at The Rock and Roll Hall of Fame in Cleveland and The Paley Center, in both NYC and LA. Following the book offering, on a special basis to Elvis fan clubs around the world, there will be podcasts about the Special, a one night theater event in over 800 AMC, REGAL & CINEMARK screens via Fathom Events in the top DMAs in America. A spoken word version of the book via Amazon’s Audible division, narrated by Binder will follow. The audio book will will contain actual excerpts from the Special, woven in with Binder’s reading. Spencer and Steve plan to bring the book to life in a documentary, to be directed by M17's John Coltrane Chasing Trane talent, John Scheinfeld in 2019. It will center on the making of the Special and Binder’s role as director/producer,teaming up with Elvis in a true buddy story that helped inform the course of pop music history. The doc will highlight Steve's interface on the production process with Elvis and NBC to accomplish an evergreen and lauded result. Binder has the most unique and informed perspective on how this landmark show was made and the events which transpired during production. Elvis bravely stood up and supported Binder in order to have the Special completed and broadcast. The success of this Comeback show propelled the course of Elvis' life and career. This never before told perspective will be at the heart of our documentary. Our film will enlighten and inform Elvis fans throughout the world with a behind the scenes look at this seminal moment of pop music media history. Before the Book becomes available to the general public through traditional retail outlets, the team will offer the book, DVD of the Special and other never before available items, through Elvis fan clubs around the world followed by a heavily promoted home shopping campaign. Here is a recent article from Rolling Stone Magazine highlighting the importance to Elvis' career of this iconic Comeback show, directed and produced by Steve Binder. So, tickets for the '68 Comeback Special event are on sale now, I believe. Iconic Television Special starring singer Elvis Presley, originally aired on December 3, 1968. It marked Elvis Presley’s return to live performance and re-launched Presley’s singing career. Fathom Events, ABG and Cineplex Events are thrilled to bring the Elvis ’68 Comeback Special to the big screen in celebration of the special’s 50th Anniversary for a special cinema event starting on August 16! See the iconic television special starring singer Elvis Presley, that originally aired on December 3, 1968. It marked Elvis Presley’s return to live performance and re-launched his singing career. This anniversary event includes the legendary television special, plus an exclusive look at the making of the special, featuring a walkthrough of the NBC soundstage with insights from producer Steve Binder and Priscilla Presley. Thanks for the reminder so we can get tickets. There are 3 theaters in New Orleans showing this. Hopefully there will be good coverage elsewhere. Rocker, will you be able to see this? I don't think such an event will be held over here in Germany. But I own the 3-DVD set from ca. 2004 so I have the footage.